Includes an Arrival Cocktail, 3 Course Dinner, Cabaret Show and Access to our After-Party. Proud presents a darker, sexier, more exciting variety show for those who dare to enter the sanctum of Proud Embankment. 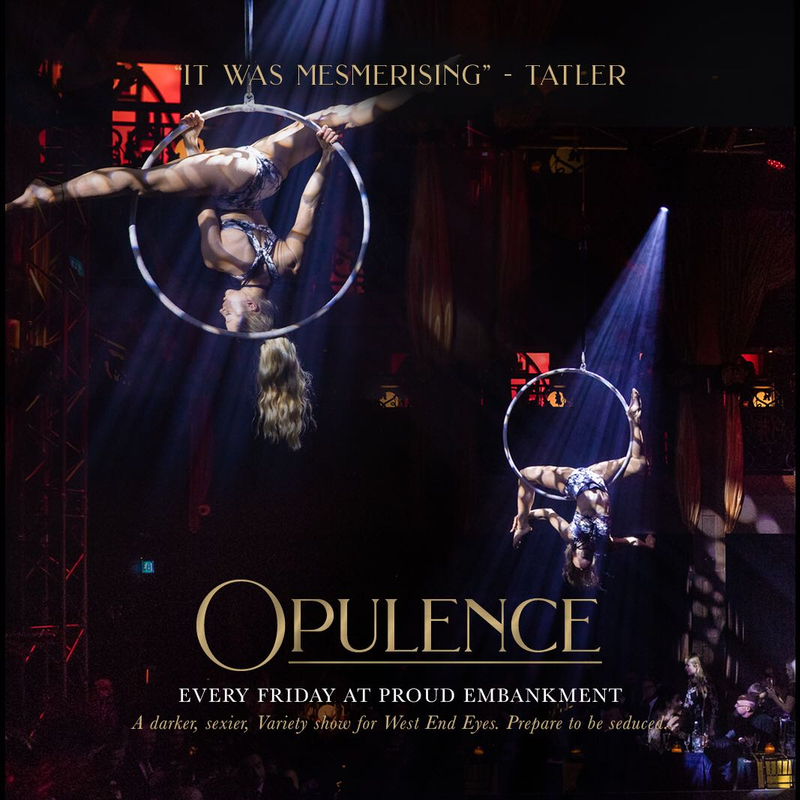 Step behind the curtains and let us open your eyes to a world of the impossible and the extraordinary - we present world class acrobatics, an aerial Adonis, sensual latin dancers, and fire-breathing sirens in an iconic and opulent setting. Prepare to be seduced. Arrival is between 7pm-7.45pm with dinner being served from 8pm - feast your eyes upon our 3 course dining menu. The show will begin at 8.30pm and last roughly 2 hours, plus included in your ticket is entry to our fabulous after-party until 12.30am. Please note: a 15% service charge will be added to your bill and tere are no refunds on purchases. Dress to impress is encouraged.